Headquarter in Frome town in UK; Tribunal Claim is a leading legal firm where any employee across the country can get legal advice from specialist employment law solicitors on any kind of unfair dismissal by their employers or for any such... employment law breaching in UK. 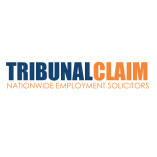 Employment Solicitors at Tribunal Claim in UK has aim to protect the basic rights of an employee within the workplace. Contact Tribunal Claim to get expert advice and legal support from specialist no win no fee employment solicitors across the United Kingdom.